It’s that time of the year — the Sephora Bonus Spring Sale! 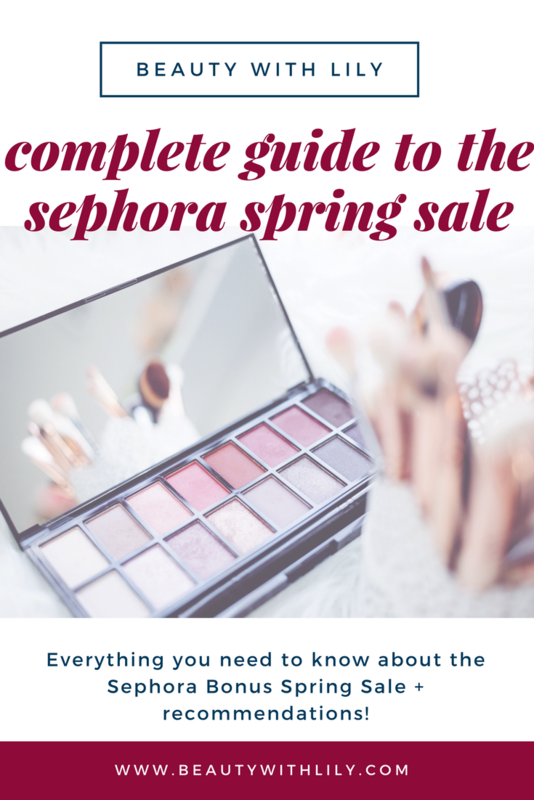 I’ve put together a Sephora Spring Sale Shopping Guide that fills you in on EVERYTHING you need to know about the sale, along with recommendations. Happy shopping! Hi lovelies! 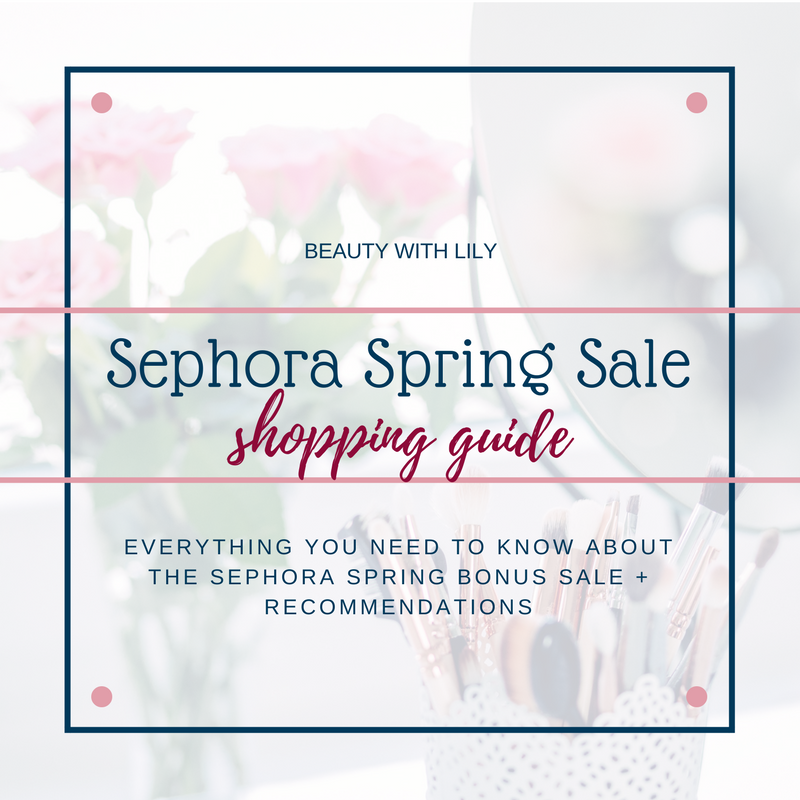 Today’s post is quite long — I’m sharing a Sephora Spring Sale Shopping Guide — basically everything you need to know about this sale, along with a few recommendations from me and some of Sephora’s top selling products. I hope you find it helpful, if you do, please share it, I would really appreciate it. First you want to make sure you are a Beauty Insider, you can sign up to become one here if you aren’t already. It’s free to sign up and you get a few perks, like gifts for your birthday. And you’ll also get access to shop the Spring Bonus Sale. Sephora has a tiered member program, anyone can be a Beauty Insider — once you spend more than $350 a year, you become a VIB Member. Spend $1000 and you become a Rouge Member. There are different perks to each level, Rouge Members get first access to the sale (a full week early and 15% off.) VIB Members get regular access and 15% off, while Beauty Insiders get 10%. It’s not a lot to be honest, but if you are looking to get an early start on Christmas or just stock up on necessities, it’s better than nothing. Another thing to keep in mind, the code you get for this sale, is NOT a one-time use only code. It can be used throughout the sale — so if you forget to buy something, you can easily go back and buy it with the same code. Like mentioned above, I would stick to products you use regularly, a fragrance you really love or even a few gifts you can store for Christmas. I personally would wait for an Ulta coupon (they are usually 20% and are given about 3 times a year, so they are worth the wait.) Below are some of my absolute favorite products. These products are some of the most sold items online. Shop their sale section — why not save even more cash!? Don’t forget to check out their value sets, you get a lot of bang for your buck! If you’re buying something new, read up on a few reviews first. Before checking out, visit their beauty offers page for any coupons or free extras! Phew! That was a lot of info, but I sure hope you found it helpful. Especially if this will be your first time shopping this sale. Are you shopping the Sephora Spring Sale? What will you be buying?